Click Setup, locate Settings in the left navigation. Expand the Identity section, and click Identity Provider. 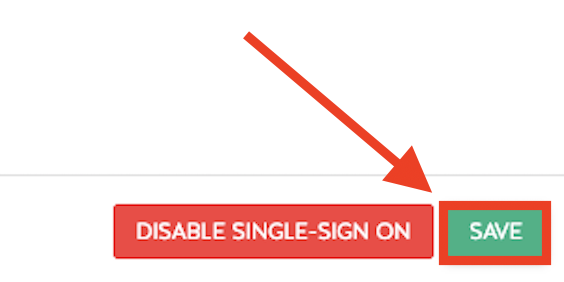 Click Enable Identity Provider. Save. Click Setup, locate Platform Tools in the left navigation. Expand the Apps section, and click App Manager. Click on New Connected App. Click << Back to List: Custom Apps. 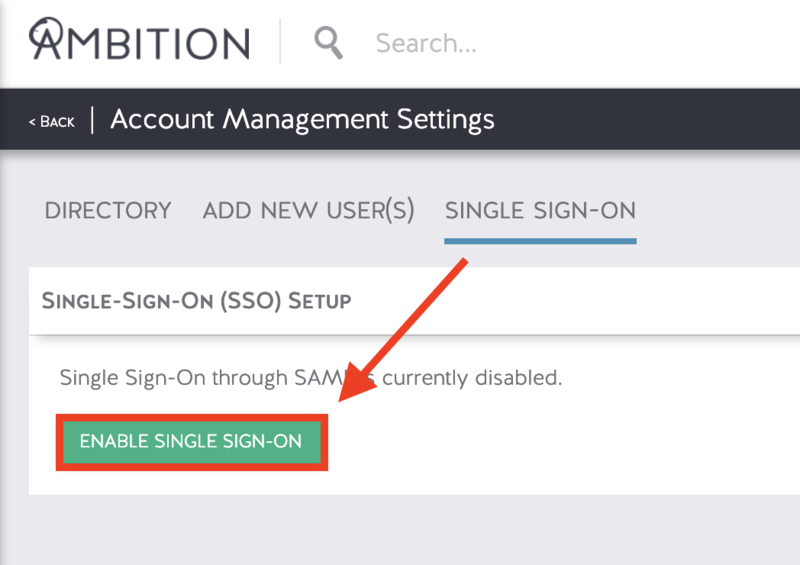 Find Ambition SAML Authentication and select View from the right hand drop down menu. 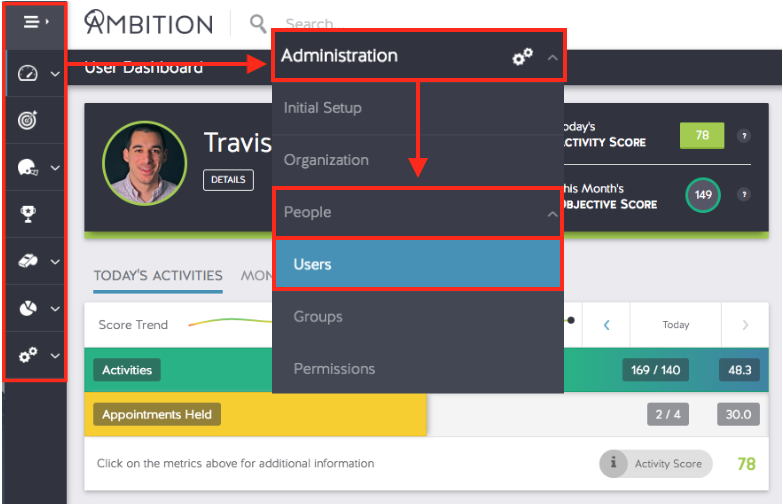 In the left navigation, expand the Users section, and click Permission Sets. 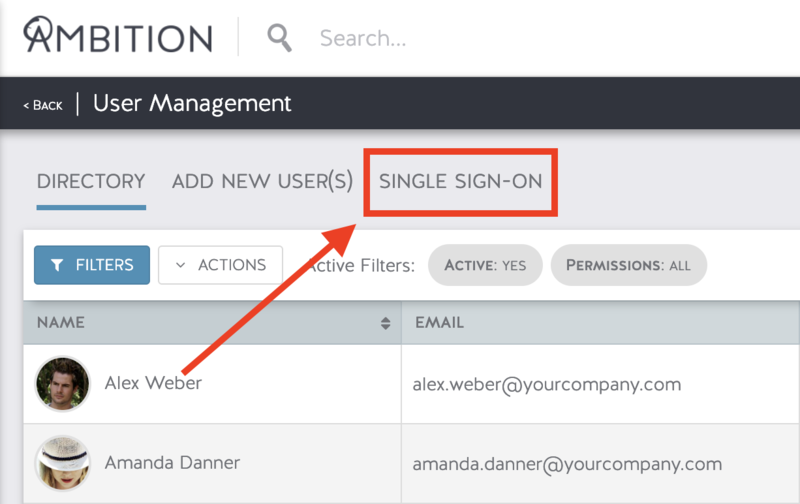 You should be in Permission Set you just created, Ambition Single Sign-On. Under Apps click Assigned Connected Apps and click Edit. 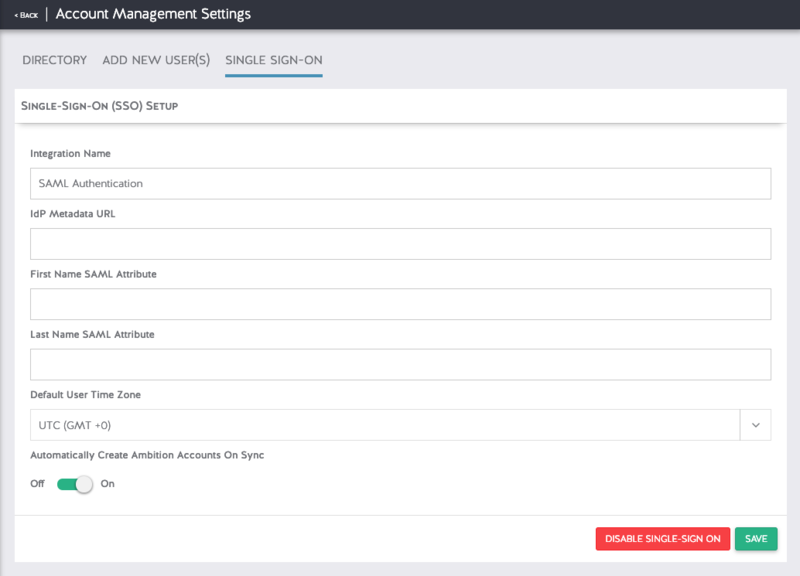 Click Manage Assignments, Add Assignments, select desired users, click Assign, and Done.